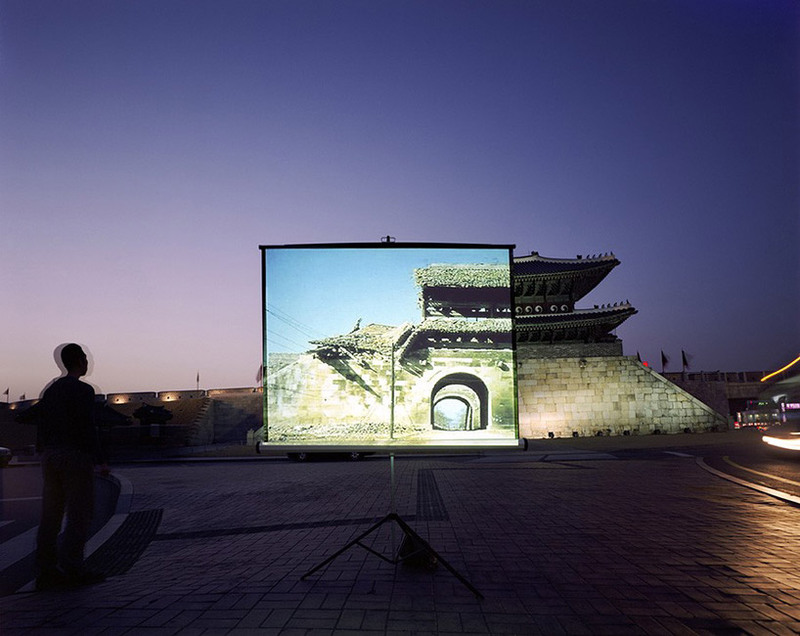 The Korean artist Sungseok Ahn was traveling through Europe in 2007, when he realized he’d never actually visited Seoul. He imagined being a tourist in his home country. “I wondered what [they would] want to see,” Ahn wrote in a statement sent to HuffPost. So he embarked on a stay in the capital city, under the guise of a “foreigner tourist.” For a month, Ahn lodged in guest houses, and consulted guide books translated into English. 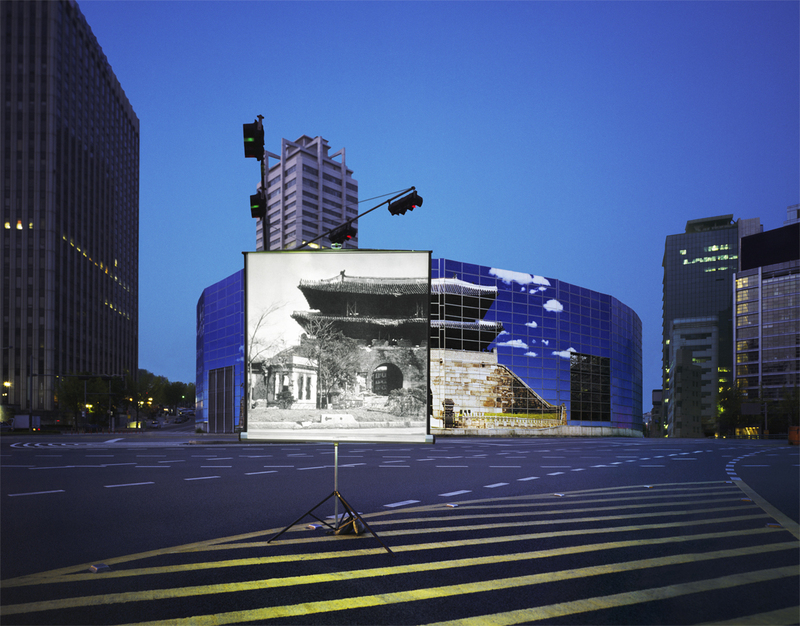 He studied up on Seoul’s landmarks, dusty old sites in a city growing shinier around them by the second. Struck by the rapid change, and the loss that comes with it, Ahn decided to merge the city’s present and past as best he could. 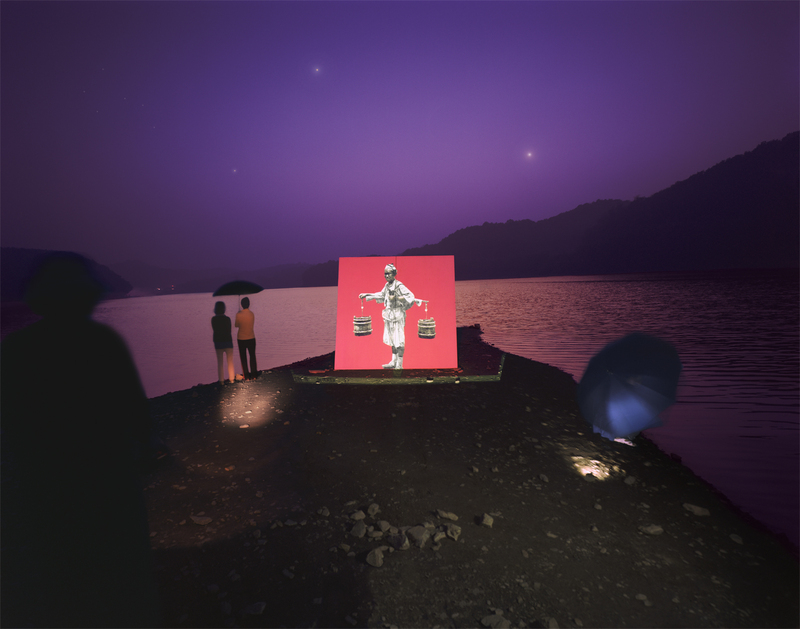 The result is "Historical Present," a project about the “psychological void that emerges as we live our lives forgetting,” in Ahn’s words. 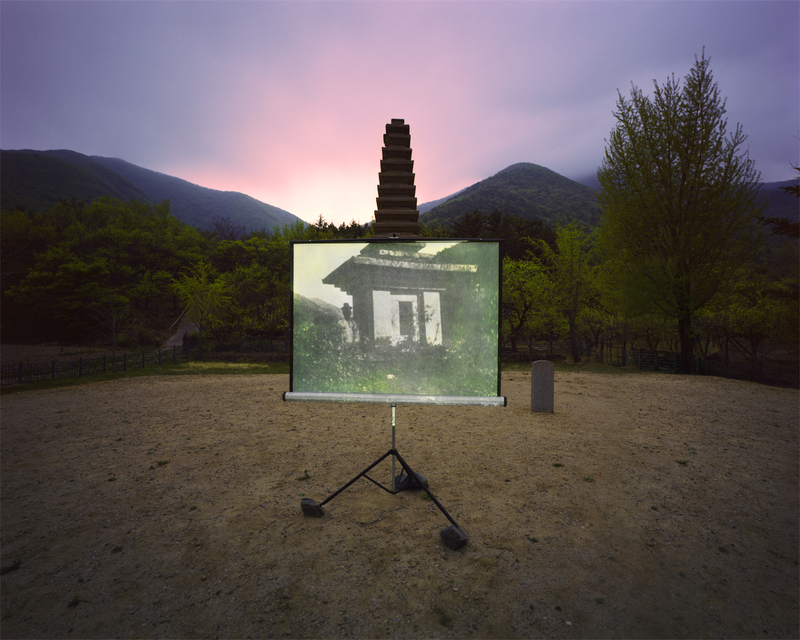 The idea is simple enough: Ahn projects an old image of a site onto its current self and takes a picture, either at sunrise or sunset, when the light is ideal for beaming. 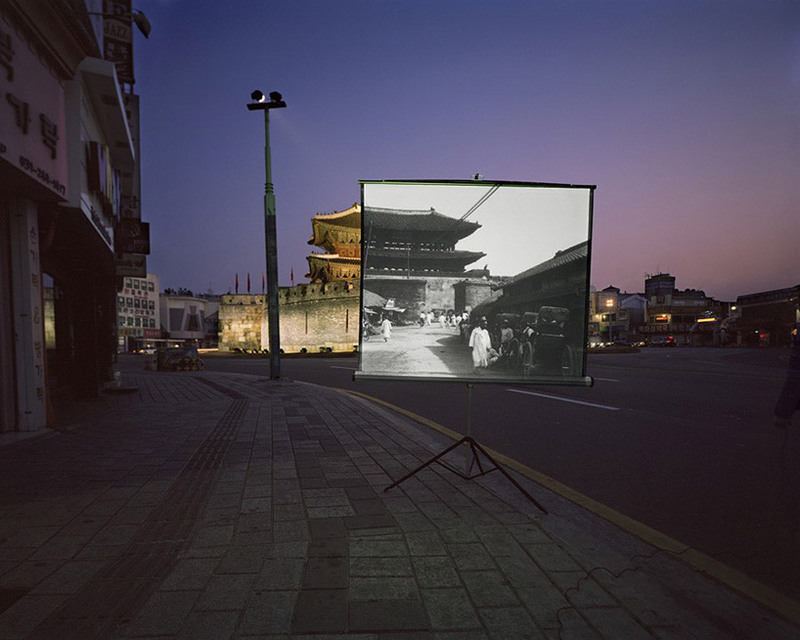 His projections have framed Seoul’s best known surfaces, from the Gyeongbokgung Palace to the Great South Gate. 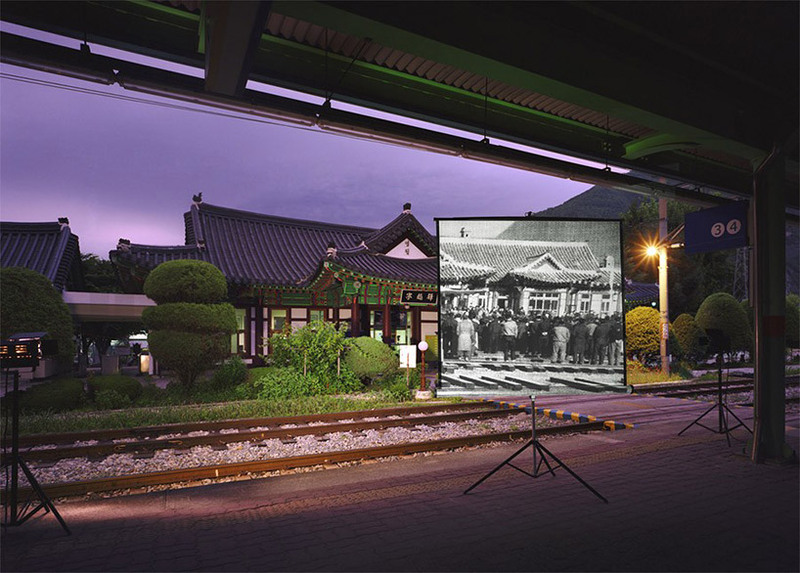 To find the black-and-white photographs of old Seoul, Ahn scoured a pictorial book he says was published by the Japanese government when Korea was under imperial Japanese rule. He also borrowed from the collections of individuals.